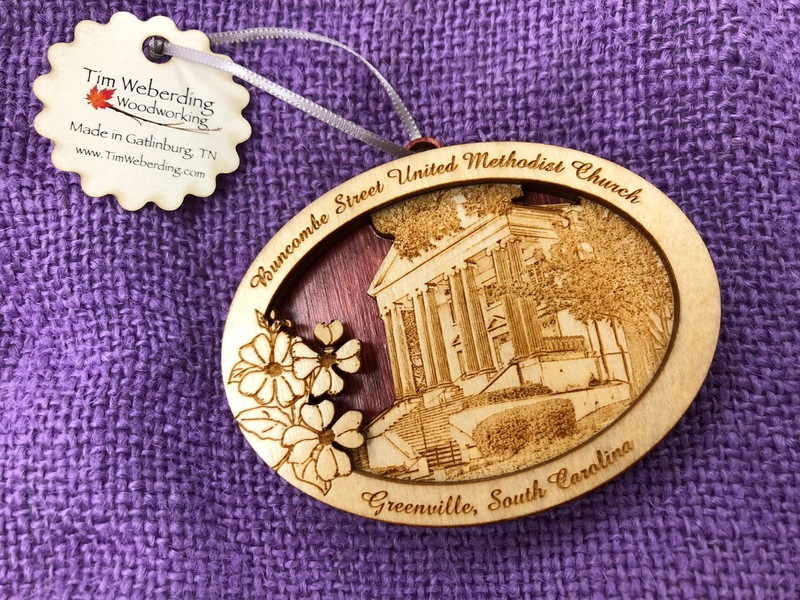 Beginning October 1, 2018, limited edition Buncombe Street UMC Christmas ornaments will be for sale in the lobby of the Downtown Campus. These beautiful ornaments are crafted by a master woodworker, Tim Weberding, in the Great Smokey Mountains. The ornaments will sell for $15 each, or two for $25, and proceeds will support the new Children’s Ministry Curriculum, Godly Play, a Montessori approach to teaching Bible stories. Don’t miss your chance to trim your tree with a beautiful reminder of your church!